Im in need of some help. I need to make an interface cable to tune my bikes that have the EMPRO ECU. I have the TTL USB 232R 5v cable and also have the EMPRO 6 pin connector but Im having a hard time find out which pins go to what. I need to tune these bikes asap so any help is greatly appreciated. You have to use a cable USB TTL 5V, and you have to use only 4 wires. I need to know where the Yellow/Green/Black/Brown from the TTL go on the actual connector I purchased. Also can you tell me where to put the Blue/Yellow and the Blue/Green from the yosh plug on the SDS plug and if there is any other cable. 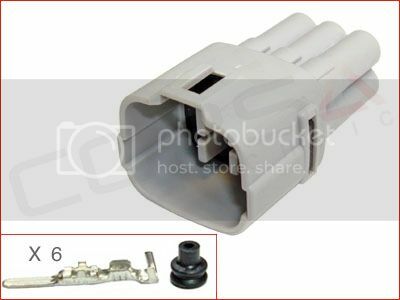 Bellow is the connector I purchased. if you want to use your connector you have to move the wires Blue/Yellow and Blue/Green from the cross connector Yoshi Box to connector SDS. Giuseppe thank you very much. So Brown on the TTL is (CTS) and thats ground? Yes, CTS be connected to ground.